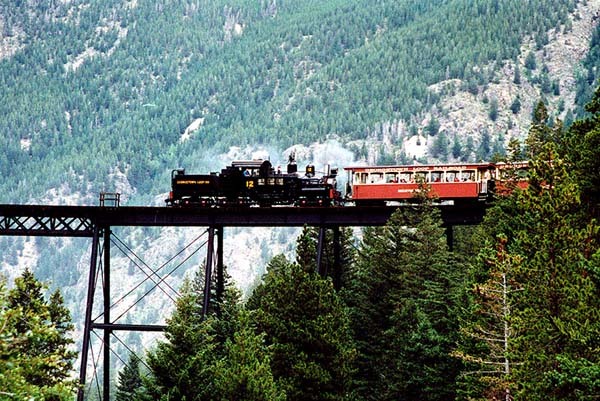 Colorado offers travelers a rich excursion program that includes visits to remarkable natural and historic sites. This wonderful region is full of surprises and beckons with its secrets. There is famous Black Canyon of the Gunnison in the western part of the state; the length of the river canyon is 12 kilometers. The canyon is in the national park; it is so deep that some places aren't illuminated by the sun and that's why it is named so. These places attract fans of rafting and rock climbing, but local routes are passable to highly trained athletes exclusively, thus beginners can only admire the beauty of scenic places. During a walk through the national park you can see rare species of plants, as well as inhabitants of these places: elk, deer, mountain lions and birds. The part of the park is occupied by campsites, so everyone can spend a few days in indescribable natural splendor. 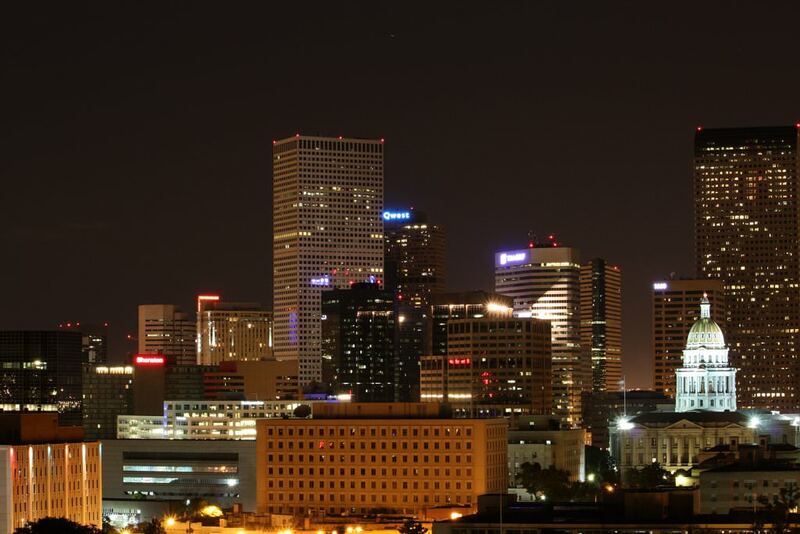 The largest city and the capital of Colorado is Denver, a major commercial and cultural center. Capitol Hill district is its center; this is where Dauninig Street, Broadway, Sixtus Avenue and Colfax Avenue can be found. The chief ornament of the district is Capitol built of white granite in the late 19th century. Denver has numerous museums and exhibitions; shoppers will appreciate an abundance of shopping centers, and fans of noisy entertainment would enjoy discos and bars. Many shops, cafes and hotels are located in beautiful historic buildings, making the ambience even more unique. There are about two hundred parks in the city, among which there are extensive walking areas and small cozy gardens. The harmony with nature is the main feature of Colorado. In Colorado, there is the famous Stanly Hotel that attracts all the fans of Stephen King. “The Shining” was shot at this hotel. As the famous writer notes, the atmosphere in its historical hotel inspired him to write his novel. The historical hotel as a valuable architectural monument is a subject of many legends. Its guests and workers state that they can feel some paranormal activity here. The most interesting thing from this point of view is Room 217. Stephen King stayed exactly in this room. Now, many travelers visit the hotel for one purpose  to see ghosts. The beautiful architectural monument is the US Air Force Academy Cadet Chapel. It was built in 1962 and is a spectacular monument in the modern style. The chapel is located in the beautiful park. Every year, over 500 000 people come here to admire this architectural attraction. The chapel interior is unusual too. The chapel houses the offices of three religious confessions: Protestant, Catholic, and Jewish. Fans of sightseeing should take an excursion around the Mesa Verde National Park. It occupies the vast area of over 200 000 m2. The main attraction of the park is the ruins of old stone houses. Hundreds of years ago, there were the settlements of Anasazi tribes who built their houses of sandstone rocks. Some of these preserved constructions are aged over 1 200 years. Some kind of apartment blocks started to be built exactly here. In some big construction, more than a hundred separate rooms were formed. Besides historical attractions, the park is very interesting with its unusual terrain and landscapes. Even nightclubs in Colorado are special. The excellent example is the Beta Club located in Denver. This is the only ecological nightclub that takes part in topical environmental programs. The club from the inside and outside is constructed of environmentally safe materials. All the waste materials are recycled in special safe ways. Despite its ecological orientation, the club is excellently equipped from a technical point of view. This guide to iconic landmarks and sights of Colorado is protected by the copyright law. You can re-publish this content with mandatory attribution: direct and active hyperlink to www.orangesmile.com. Check on the map: Distance from Colorado center - 16.9 km. All about Colorado, USA - sightseeings, attractions, touristic spots, architecture, history, culture and cuisine. Prepare your trip together with OrangeSmile.com - find out the 'must see' things in Colorado, which places to visit, which excursions to take, where the breathtaking views are waiting for you. Planning your trip with this travel guide will help your to get the most out of Colorado in few days.